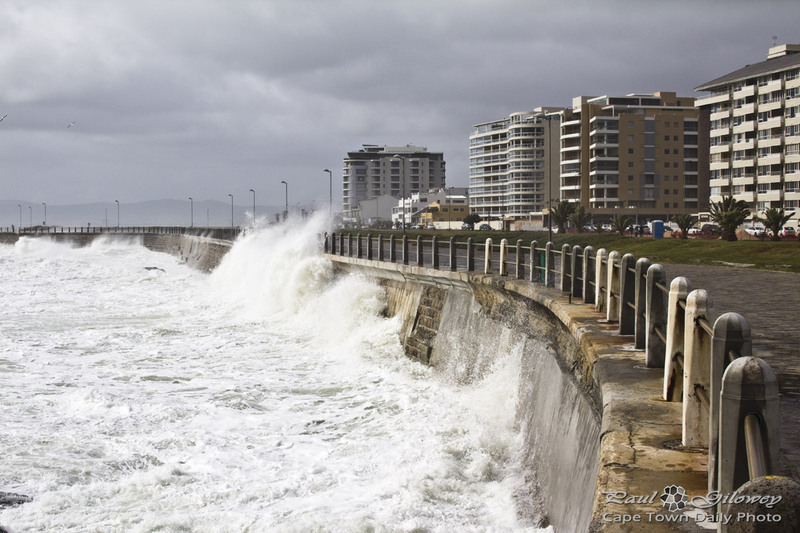 A pretty nasty cold front hit Cape Town this weekend - emergency services have been on high alert, anticipating flooded roads and homes. 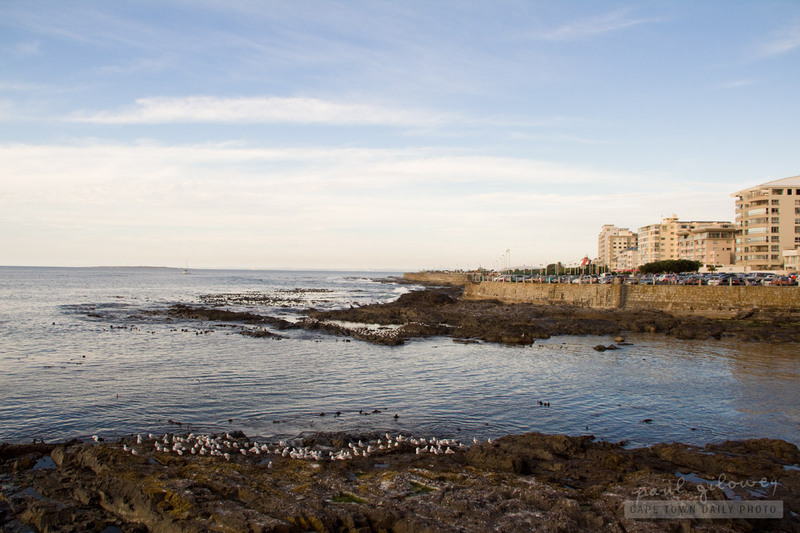 I decided that it would be a grand idea to visit the Sea Point for an impromptu photo walk, so I dressed as warmly as I could and left home feeling a little like the Michelin Man. I arrived at Three Anchor Bay at about noon. Even though it wasn't raining, the high winds and crashing waves were sending plenty of spray into the air. I parked in one of the available parking bays, and as I did a wave broke against the breakwater, sending a torrent of water cascading over my car (not the most ideal thing, given how salt water aids corrosion). So, learning my lesson, I reversed and parked somewhat further from where the breakwater. Extracting myself from the warm car, into the icy wind and wet sea spray, was far from the most pleasurable experience I've had. 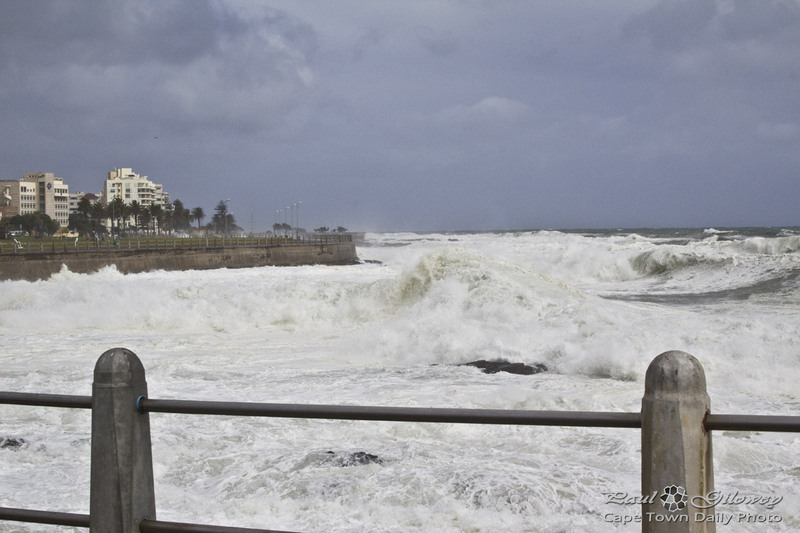 I took a careful walk to the edge of the promenade, snapped a few photos and dashed back into my car before the next large wave broke. 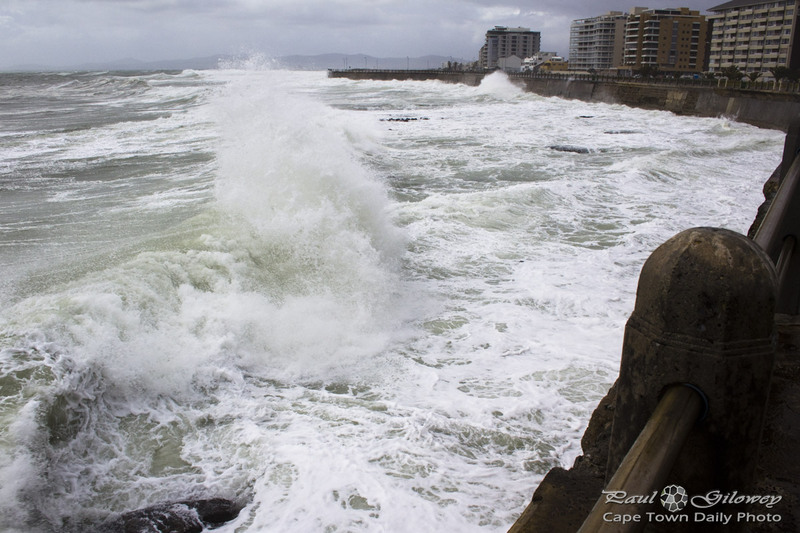 I spent the next hour a little further along towards Mouille Point, walking along the promenade taking photos while the cold wind howled, waves crashed, and people stared (at this silly photographer wondering about in the cold). 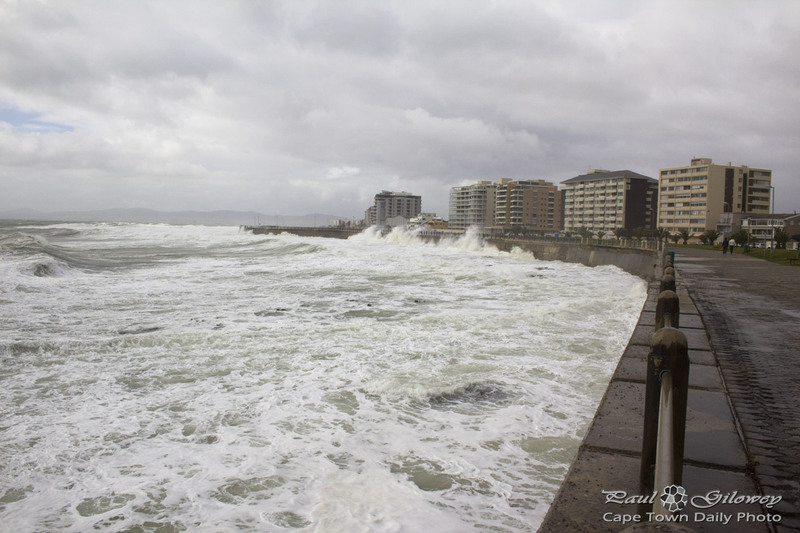 Posted in General and tagged sea, storm on Sunday, 12 August, 2012 by Paul. That’s my secret Captain, I’m always angry. 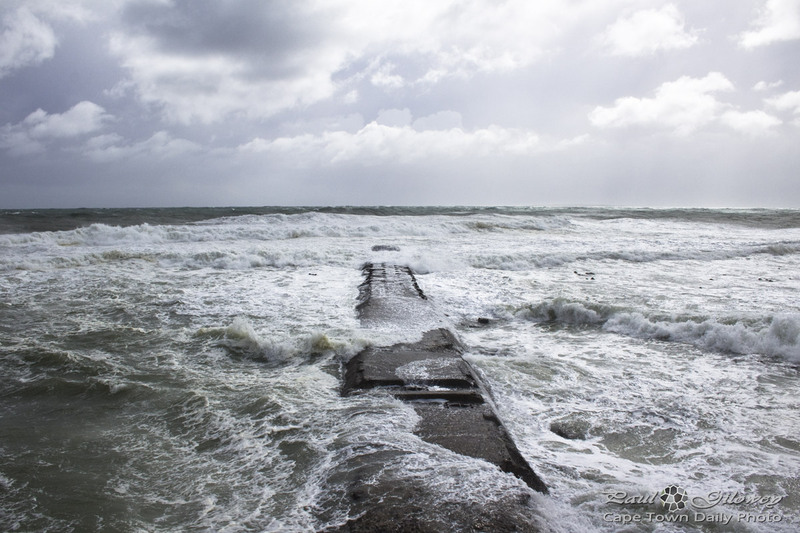 It's easy to know to respect the ocean when it's writhing, foaming, and thundering against the breakwater. It's easy to forget to respect it when it's placid, calm, and lapping against the rocks. 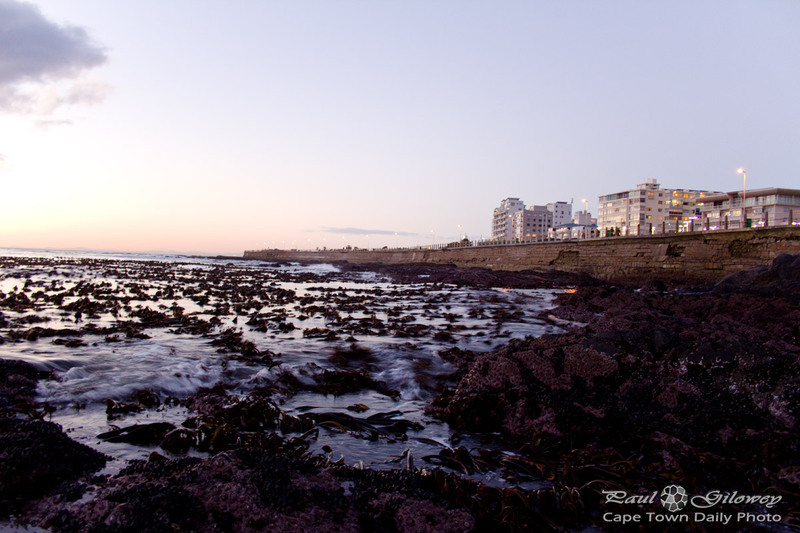 Compare these two photos of Three Anchor Bay with the ones below - quite a different vibe, hey? 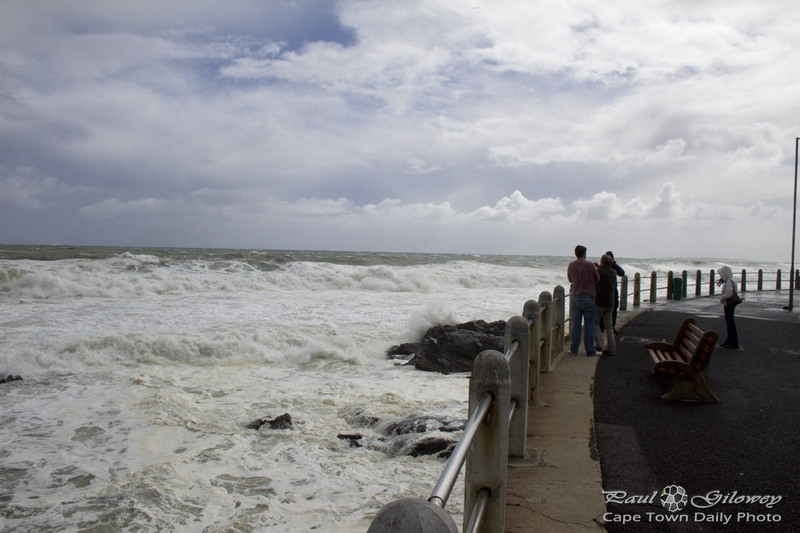 Posted in General and tagged sea, storm, three anchor bay on Saturday, 11 August, 2012 by Paul.